Where has all the general labor gone? Those in the construction industry can agree: finding skilled labor is tough in the current market. In fact, a survey revealed that over 90 percent of the included contractors, builders, and managers stated challenges in finding enough skilled workers. This harsh labor shortage has more implications than just not getting the work done. With not enough young people entering the field, the industry is seeing an aging workforce. In addition, teams face gender and skilled-labor gaps. Part of the problem is that many young adults would rather pursue college degrees than explore the trades. However, there are still many effective ways to nail down your general labor workforce. Explore these five tips on how to find general labor for hire. When it comes to increasing the talent pool, a straight-forward way is to look outside the one you already have. This can mean hiring from nontraditional groups like women, veterans, or the previously incarcerated. Tap into trade associations specific for these demographic groups. After making those first connections, you can then rely on new general laborers to spread the word among their social circles. Another way to find and retain general labor is to implement an apprenticeship program into your company. Apprenticeships align your company talent needs with industry standards to produce well-rounded workers ready to step in. Although there is a cost associated with creating and running an apprenticeship program, you’ll save on hiring costs. Additionally, you’ll have the guarantee of loyal, highly skilled workers. Finding ways to appeal to potential talent will help differentiate your company from competitors. This is especially important for the competitive environment of industrial labor hiring. Because many blue collar jobs are temporary, contractor positions, you can attract workers by offering better pay, benefits, and training. If your hiring needs depend on projects and contracts, demand is always changing. Job fairs provide a great opportunity to match your hiring needs with active recruiting periods. For those companies with apprenticeship programs already in place, job fairs targeting high school students are ideal events to attract young people. Even if you hire full-time general laborers, job fairs are still an effective way to hire the labor you need. Staffing agencies like Corporate Job Bank have a database of available workers to hire for your projects as needed. Nearly 30% of Corporate Job Bank business lines lie in light industrial disciplines. These disciplines include construction labor , landscapers, welders, carpenters and more. 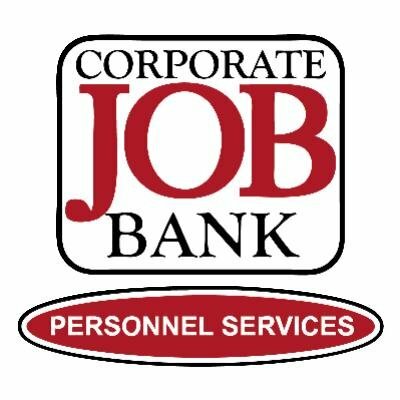 Corporate Job Bank has access to large contracts and staff pools across States with both public and private sector clientele. Keep in mind that you don’t have to stick to a single hiring tactic either. Maybe one strategy works, but you still lack the numbers you need. In this case, you can combine other ways to hire general laborers to maximize your efforts.